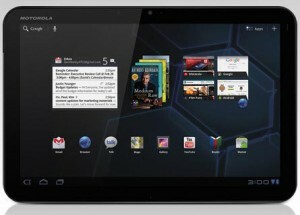 ACES will be raffling off a Motorola XOOM tablet and a Wiley Miller Non Sequitur comic strip at the New Orleans conference. Tickets will sell for $1. The XOOM is an Android-based tablet with a Tegra2 DualCore processor, 10.1 HD screen and Gorilla glass (meaning no screen protector needed). Engadget described the XOOM as “clearly competitive (and frankly, more stacked) than most of its competition” for its formidable hardware, speed, camera, video and wireless options.” The XOOM was donated by Motorola. The Non Sequitur comic strip is Miller’s wry look at the absurdities of everyday life and is syndicated in more than 700 newspapers. Miller donated his “Ancient Grammar police” to ACES for the raffle. The winner will be drawn during Friday night’s banquet. You must be present to win. ACES wishes to thank both Motorola Mobility and Miller for their generosity.